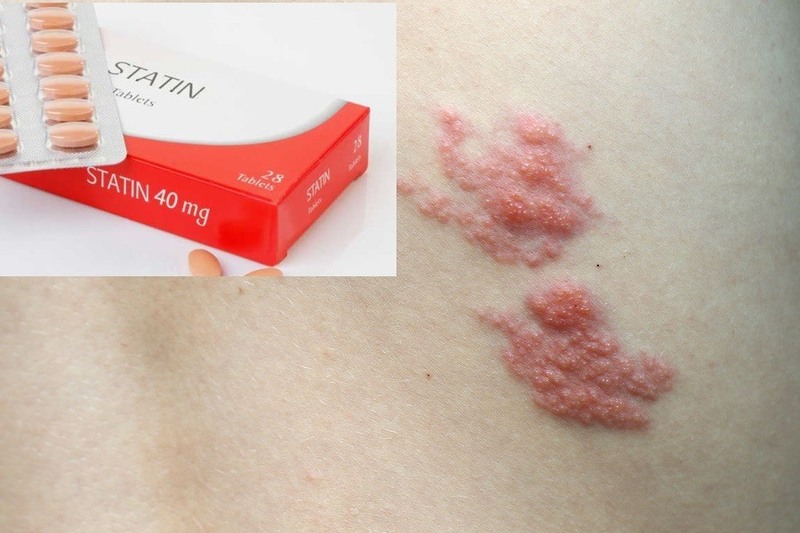 A recent meta-analysis review study looked into the association of cholesterol-lowering statin drug use with herpes zoster or shingles outbreaks, and determined there was a strong association of higher risk of shingles for older people who take statin drugs. Herpes zoster, more commonly known as shingles, is a painful skin irritation marked by rows of small sores with tiny blisters. It often strikes people over 50 who have experienced chickenpox during childhood. It’s suspected that this occurs when one’s cellular immune system is lowered enough to allow activating the dormant varicella virus (chicken pox) remaining after an earlier recovery from it. What may appear at first as non-threatening small skin lesions can become painful and more debilitating than chickenpox. This reactivated, more virulent form of varicella virus can damage nerves enough to develop into postherpetic neuralgia, which rephrased in layperson's language is "after herpes came intense nerve pain." Acute and chronic peripheral nerve pain may exist in the areas where the shingles skin lesions are located. The consequences can be lethal. 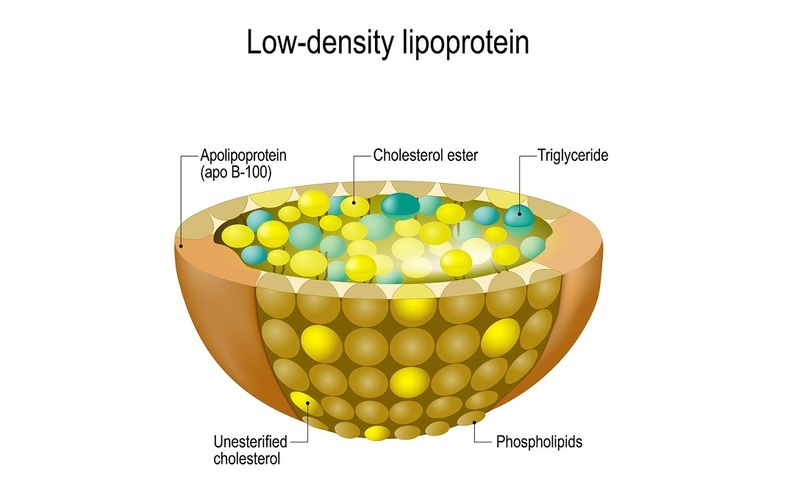 Independently-sourced research challenges the idea that LDL (low-density lipoprotein) is the "bad cholesterol," and causes heart disease. However, the theory that LDL is "bad" persists in the mainstream media and with Big Pharma, mainly because they would lose billions of dollars in drugs and treatments to admit the theory lacks merit. The hypothesis of saturated fat creating artery-clogging cholesterol as the source of heart disease should be considered dead and incapable of resuscitating, based on the scientific evidence. But one still sees and hears fearful statements about lowering cholesterol and avoiding heart disease, mostly on mainstream media but even all too often on internet alternative media sources. Current research is showing LDL is not dangerous and it’s not an accurate marker for pending heart disease. For well over 30 years, every medical student has been taught that high cholesterol levels are responsible for causing heart disease—the number one killer in the US. And, the public has been similarly educated that eating a low-fat diet (having less cholesterol) is the best way to avoid becoming a cardiac patient. At my medical school graduation (nearly 30 years ago—oy vey!) the dean told us that we were trained with the latest medical information. He continued by stating that, unfortunately, over 50% of what was just taught to us was incorrect. He told us that it was our job to figure out what is fact and what is fiction. Perhaps my dean would be proud of me as I have dedicated my professional career to determining what is right and what is wrong with medicine. Now I can state, without equivalence, that the cholesterol=heart disease hypothesis is terribly wrong. Keep in mind, I came to that conclusion many years ago after studying the literature. 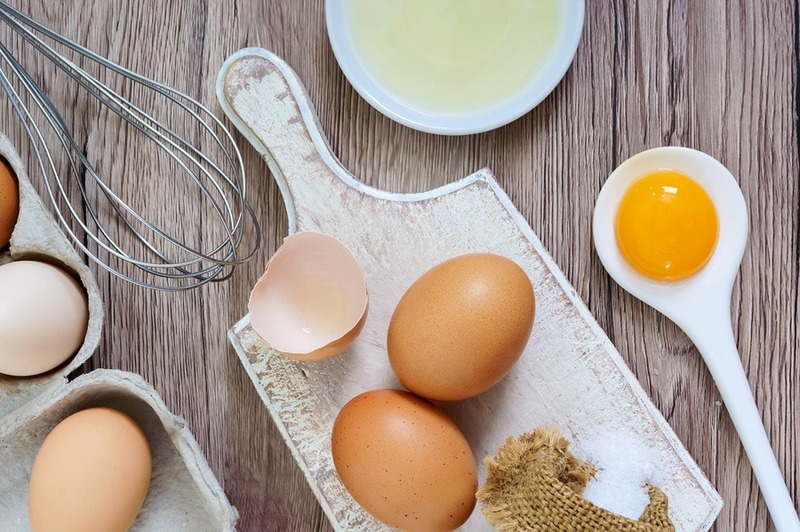 A new study, published by the BMJ (British Medical Journal) in May 2018, found that people consuming eggs regularly were less at risk for heart disease than those who consumed no eggs. The title of the Chinese study is Associations of egg consumption with cardiovascular disease in a cohort study of 0.5 million Chinese adults. Over a half-million Chinese, between the ages of 30 and 79, were recruited across various regions of China and surveyed for egg consumption. Those with histories of cancer, heart disease, stroke, or diabetes were excluded from the study. Those remaining, slightly under a half-million, were followed for several years to determine incidents of cardiovascular disease (CVD) and both ischemic and hemorrhagic strokes. The average egg consumption varied from none to over one a day. The study’s conclusion: "Our findings suggested that daily egg consumption (<1 egg) [actually .8 daily on average] was associated with lower risk of CVD [cardiovascular disease], IHD [ischemic heart disease], MCE [major coronary events], hemorrhagic stroke and ischaemic stroke among Chinese middle-aged adults. Our findings contribute scientific evidence to the dietary guidelines with regard to egg consumption for the healthy Chinese adult." The study noted that morbidity from strokes is higher in China than Western nations where deaths from ischemic heart disease (ISD) are higher. An average egg consumption of .8 could translate to five to six eggs per week. The Chinese study also referenced an earlier smaller Japanese study, the Life Span Study in Japan, and found that “daily egg consumption was associated with a 30% lower risk of total stroke mortality” compared to no or occasional consumption of eggs. For the past year, a group of researchers with the Philip R. Lee Institute for Health Policy Studies at the University of California at San Francisco (UCSF), has reviewed historical scientific literature funded by the Sugar Research Foundation since the 1960s, which gives us a great perspective on how the war on saturated fats became public policy. These researchers at UCSF have revealed how the Sugar Research Foundation influenced Harvard medical researchers financially and otherwise to report open-ended inconclusive research that omitted a lot of conclusive negative health data. Their first article was published in the Journal of the American Medical Association (JAMA Internal Medicine) in 2016. The title of the study is Sugar Industry and Coronary Heart Disease Research: A Historical Analysis of Internal Industry Documents. The New York Times, which has given some press to exposing the saturated fat myth for about ten years now, was one of the few mainstream media outlets that covered the UCSF study: "How the Sugar Industry Shifted Blame to Fat." NPR was another news source that covered the UCSF study in 2016: "50 Years Ago, Sugar Industry Quietly Paid Scientists To Point Blame At Fat." The same UCSF team of researchers had another paper published last month (November 2017) by the open access journal PLOS Biology titled, "Sugar industry sponsorship of germ-free rodent studies linking sucrose to hyperlipidemia and cancer: An historical analysis of internal documents.” The UCSF researchers managed to get research data that was never published. The study was not completed because the sugar industry was not getting the pro-sugar “science” they had sought. The science actually led to the conclusion that refined sugar is implicated in heart disease and cancer. If you have been visiting Health Impact News, you may have noticed the notion that arterial inflammation is what’s behind heart disease, not cholesterol from saturated fats. A clinical human trial recently published in The New England Journal of Medicine in August of 2017 may tip a few more in the medical field into accepting the current awareness that inflammatory damage is a major cause of heart and cardiovascular disease, and cholesterol is trying to patch up the damage before the vessel begins to leak or rupture. Cholesterol is actually a vitally useful “waxy” compound for many parts of our bodies, especially the brain. Lowering cholesterol is misguided, and usually causes terrible side effects. Upon releasing the study and after its publication, the lead researcher Dr. Paul Ridker, MD, asserted: "These findings represent the end game of more than two decades of research, stemming from a critical observation: Half of heart attacks occur in people who do not have high cholesterol. For the first time, we’ve been able to definitively show that lowering inflammation independent of cholesterol reduces cardiovascular risk." 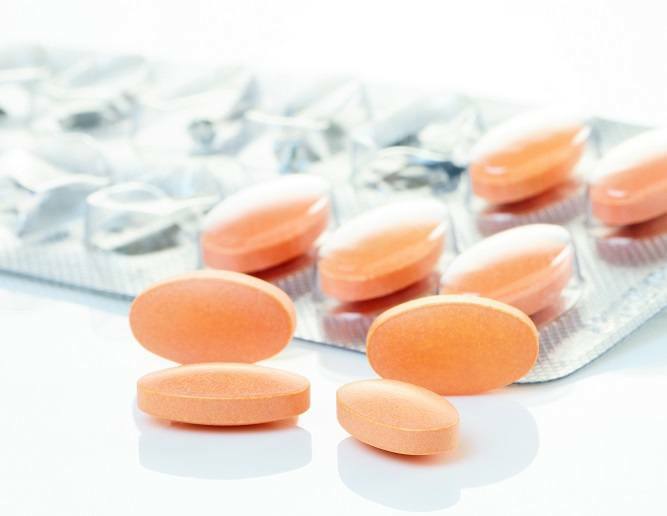 Is Anti-Inflammatory Drug “Medical Milestone” in Lowering Risk for Heart Disease? The headline in the New York Times (NYT) this morning–8.28.2017– states, “Anti-Inflammatory Drug May Lower Risk of Heart Disease and Cancer. Findings Represent Medical Milestone.” I am getting tired of using the “Fake News” meme when describing medical articles in the NYTs. But, this article is beyond ridiculous and I can think of no better way to describe it. This is another example of fake news and why we are in the health care mess we are in. As we have reported frequently here at Health Impact News, sales of drugs to lower cholesterol are the top selling drugs of all time. It is a $100 billion a year industry. The cholesterol-lowering drug Lipitor is the best-selling drug of all time, grossing over $140 billion, with no serious close competitors in the history of pharmaceutical drugs. 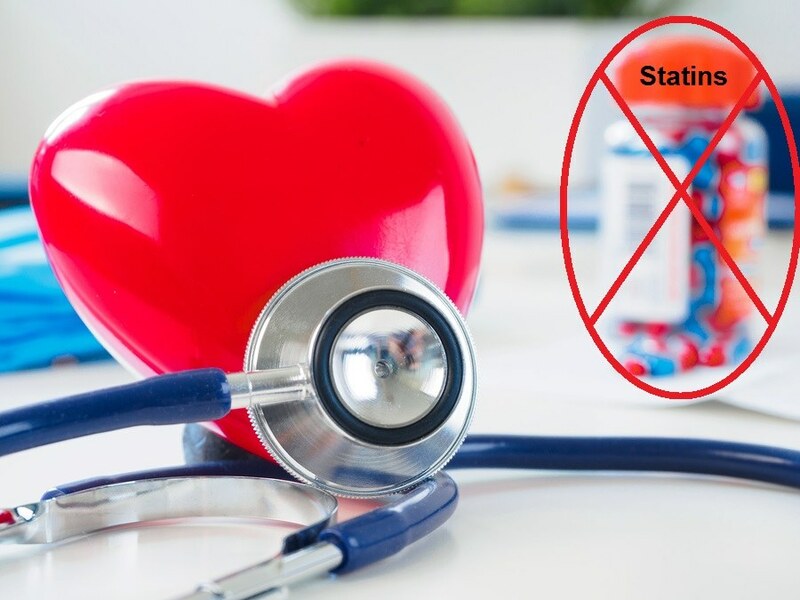 One out of every four Americans over the age of 50 is taking a statin drug to lower their cholesterol. However, these block buster drugs have run through their patent life, and now generics dominate the market. So Big Pharma is looking at new ways to patent new drugs to lower your cholesterol. The latest? 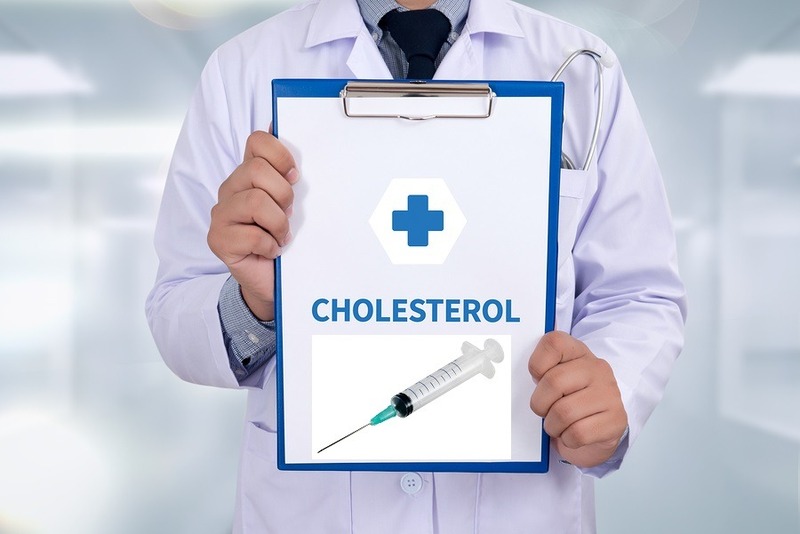 A vaccine is being developed to lower your cholesterol. 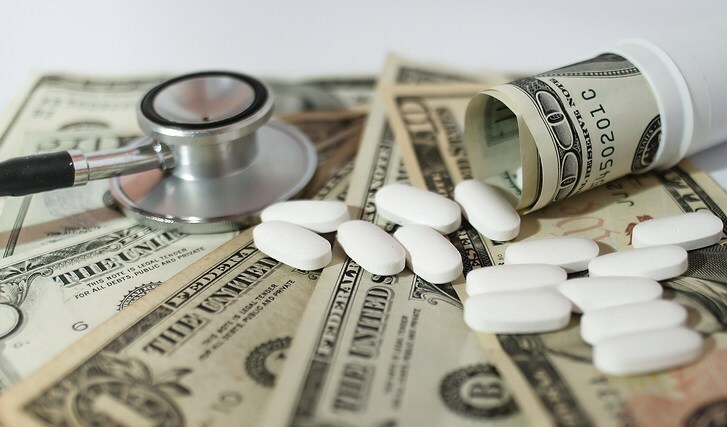 In recent years, class action lawsuits have been stacking up against statin drug manufacturers due to the terrible side effects, including diabetes. Is this another reason for turning to vaccines to "cure" cholesterol? In this country, lawsuits against vaccines are prohibited while civil suits against prescription or over-the-counter drugs are allowed. 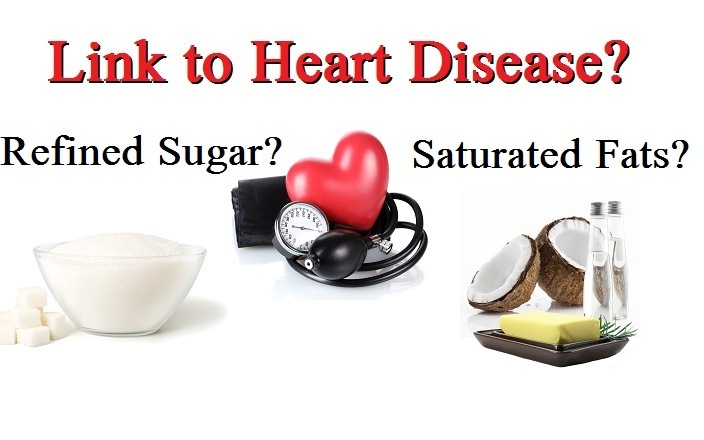 In what appears to be a coordinated attack against the rising popularity of coconut oil, the American Heart Association (AHA) has just published a "Presidential Advisory" on "Dietary Fats and Cardiovascular Disease" in which it condemned coconut oil, and recommended that people not consume it. 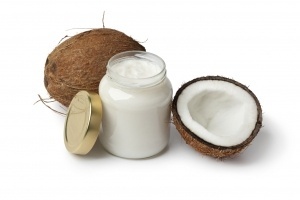 The AHA's recommendation clearly contradicts research that exists on not only coconut oil but saturated fats in general, which debunks the old lipid theory of heart disease that saturated fat and cholesterol cause heart disease. Yet, the mainstream corporate-funded media published its recommendations with no critical analysis or journalistic investigations into the AHA's claims. Are these attacks against coconut oil part of an effort by Big Pharma to protect its $100 billion a year cholesterol lowering statin drug industry? A 2017 meta-analysis of 29 studies has concluded that consuming dietary dairy fat has no negative effects on all cause mortality or mortality from cardiovascular disease (CVD) and coronary heart disease (CHD). This includes dairy fats of all types. One of the researchers, Ian Givens of England’s Reading University, commented on the record: “There’s been a lot of publicity over the last 5 to 10 years about how saturated fats increase the risk of cardiovascular disease and a belief has grown up that they must increase the risk, but they don’t.” Actually, dairy and other animal sourced saturated fats have been wrongly condemned as a contributor to obesity and higher cardiovascular risk since Ancel Keys' notorious seven countries study over 50 years ago, which spawned the “lipid theory” of heart disease and obesity.